Have you ever let your fear get in the way of something that you REALLY wanted? Do you have that record constantly playing in your mind that THAT goal is too far fetched to ever happen? It’s time for that to stop…. 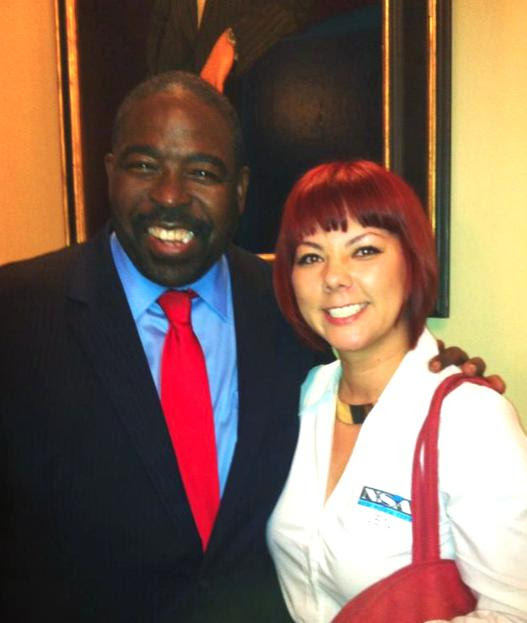 Recently, I got the chance to hear one of the world’s most brilliant and wildly talented motivational speakers, Les Brown. I knew next to nothing about him before I walked into the New York Bar Association to see him speak except maybe 5 minutes of browsing through his website. I networked and did my thing before he got on stage not thinking much of anything. Then it was show time and I found myself on the edge of my seat absorbing every vowel that came out of his mouth. He was a genius at captivating the audience with his stories and inspiration. He had said, “If you set goals and go after them with all the determination you can muster, your gifts will take you places that will amaze you.” So I took that to heart and decided that I was going to have lunch with Les and he was going to work with us. I was on a mission. As he was talking to some people during a break, I decided that I was going to talk to him and ask him about the broken link to his radio show. He said he stopped doing the show and was looking to get into podcasting. Hmmm. I told him about The Hangar Studios and he said he would be in contact. GREAT! But it wasn’t quite lunch with him yet. After his first session and before his lunch started, I got the grand idea to invite him to the studio and get him behind the mic, but how. I asked (with a butterflied stomach) all of the event organizers and Presidents of the organization if I could go to his waiting room to invite him personally and I got in! He was flying out the next morning. He would be back soon for another talk and we decided that was the chance. Next thing you know I was having lunch with him!